decals are best to place your business’ name and logo. Window graphics for business are great retail advertising tools, grabbing the attention of customers from wherever they are placed. 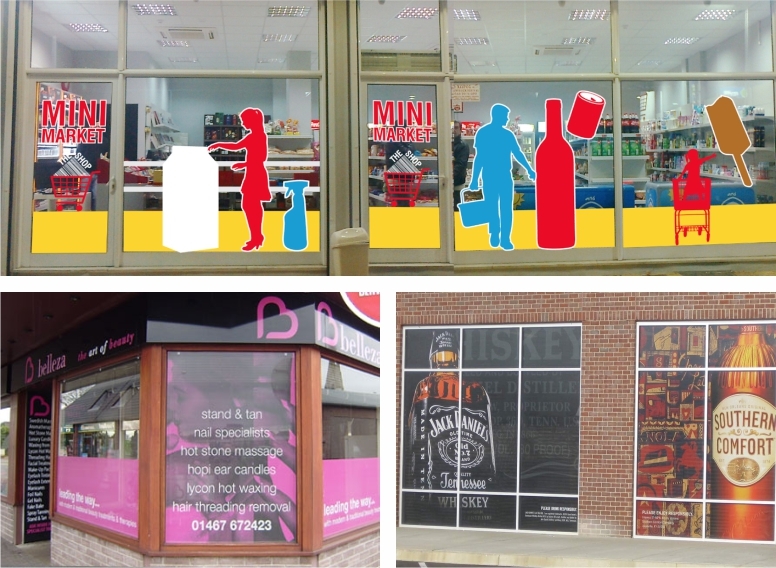 We offer a wide variety of window graphics and window signs to meet your business advertising needs. It’s the perfect way to feature your business’s products, services, promotions and even list contact information and operation hours.